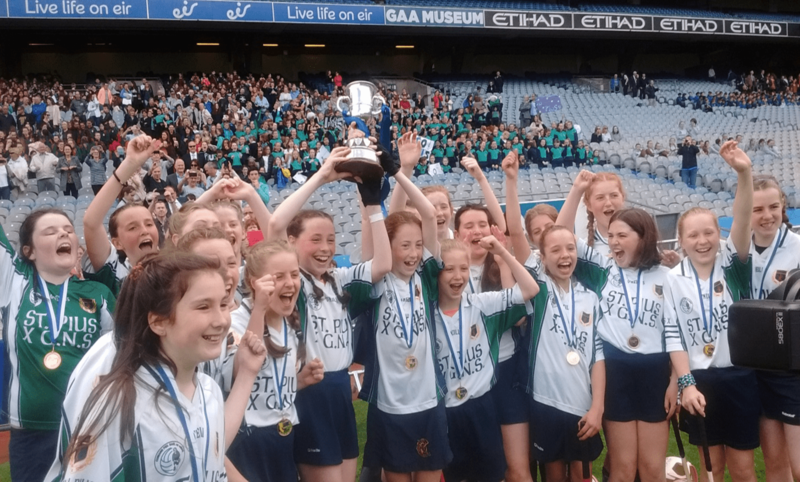 St. Pius X GNS defeat Scoil Áine for the second year in a row, to bring home the Sciath Bean Uí Phuirséil trophy. St. Pius X G.N.S. knew that this was going to be a tough match given last year’s final and they were not wrong! Scoil Áine, Raheny, proved to be worthy opponents as Pius were down by a goal at half time with the score line reading 1-1 to 2-1. In the first half, Taylor found the back of the net with a rasper while Aoife successfully converted a point from a 45. Sophia’s first half performance further proved her dominance as centre back. Grace showed her commitment to her team by playing despite feeling ill. Ava stepped up to the plate in midfield when needed and made a great impact. 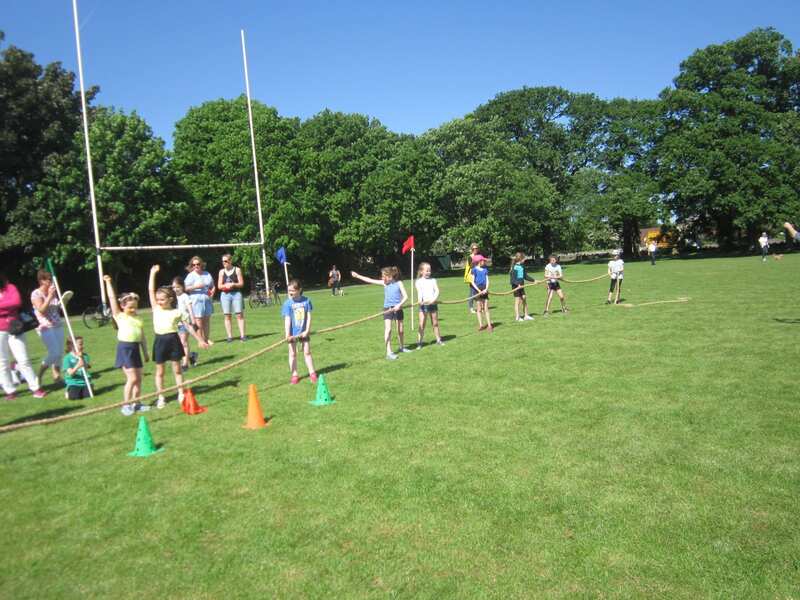 Lorna’s marking skills were second to none as she guarded her house with fervour. 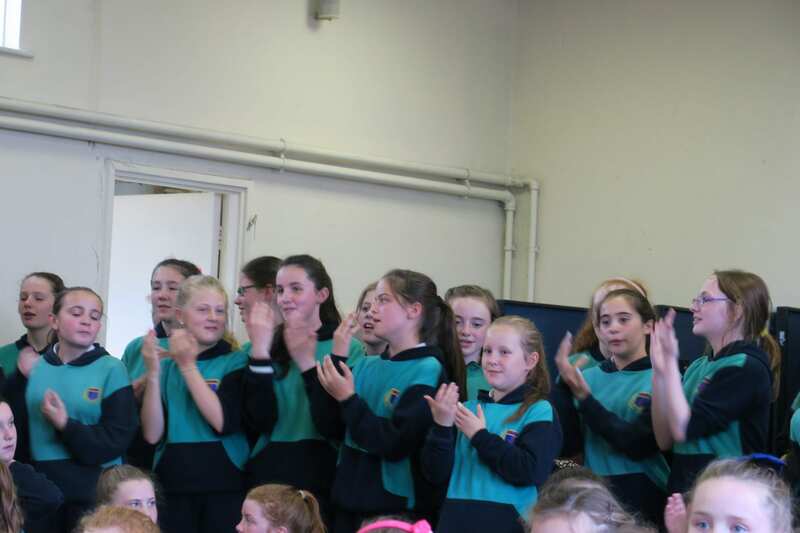 Undeterred by the score line, Pius totally dominated Scoil Áine in the second half. Puck outs and saves from our warrior goal keeper Maeve kept us in the game when Scoil Áine threatened to further extend their lead. Orla, despite long term injury, scored two magnificent goals adding to last year’s hat trick. 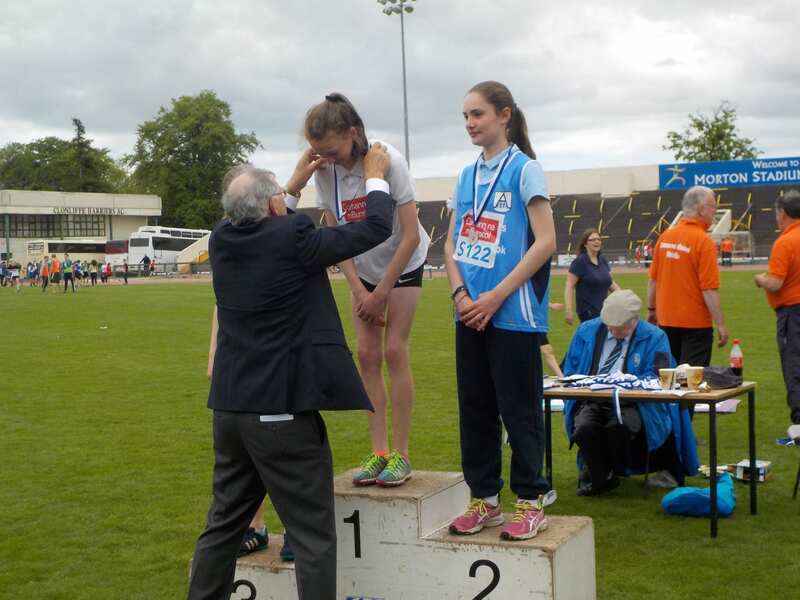 The captains’ influence was clear to see as Shauna and Alannah led by example and lifted their team’s spirits. 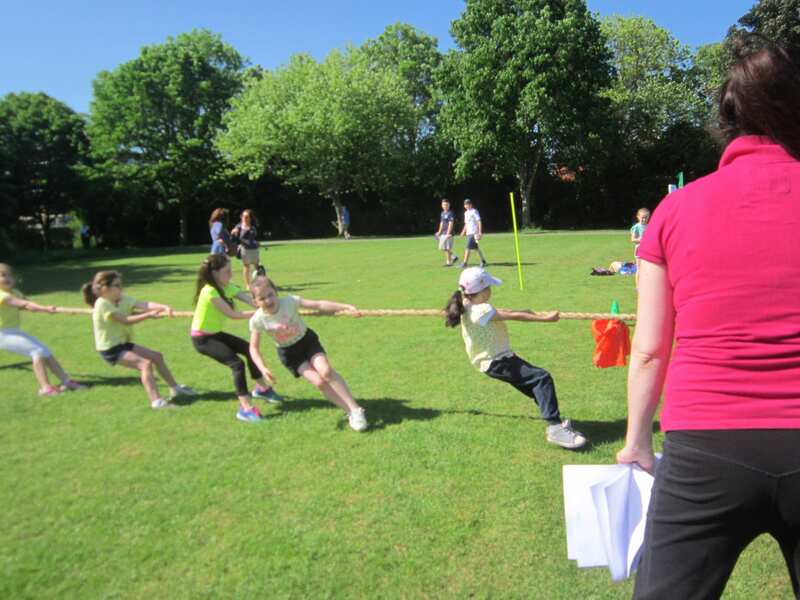 Emma proved to be a power house at full back and cleared her lines with ease aided by Aoife and Maria. 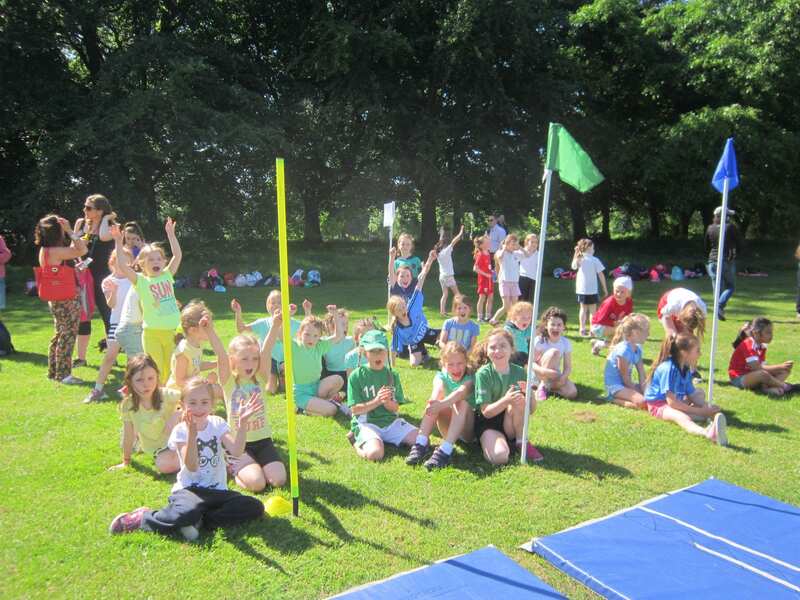 Aoife was a shining star on the day, achieving 100% accuracy from place balls. Her sideline cut sailed over the crossbar while a 45 found the back of the net. 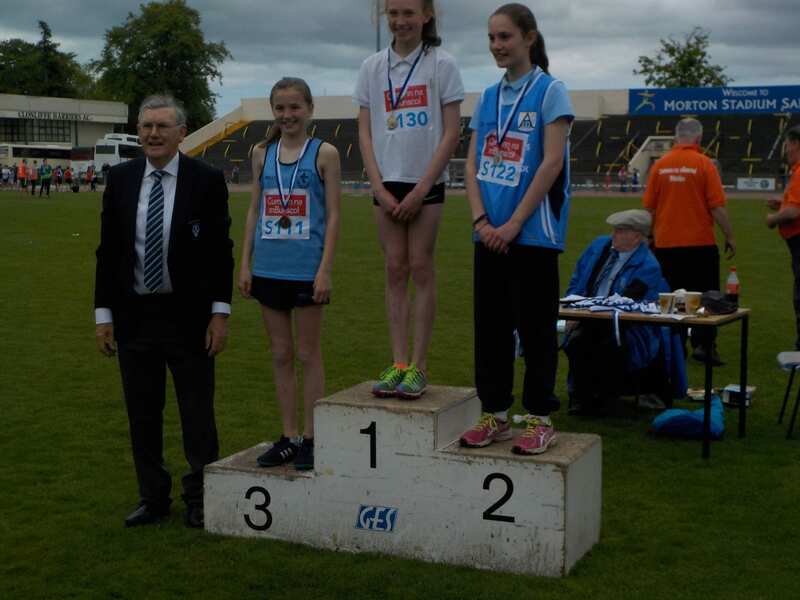 Ciara and Kate dominated on a fitness level and showed utter determination. Our full forward line up changed quite a bit as we have an abundance of players who can hit their mark. 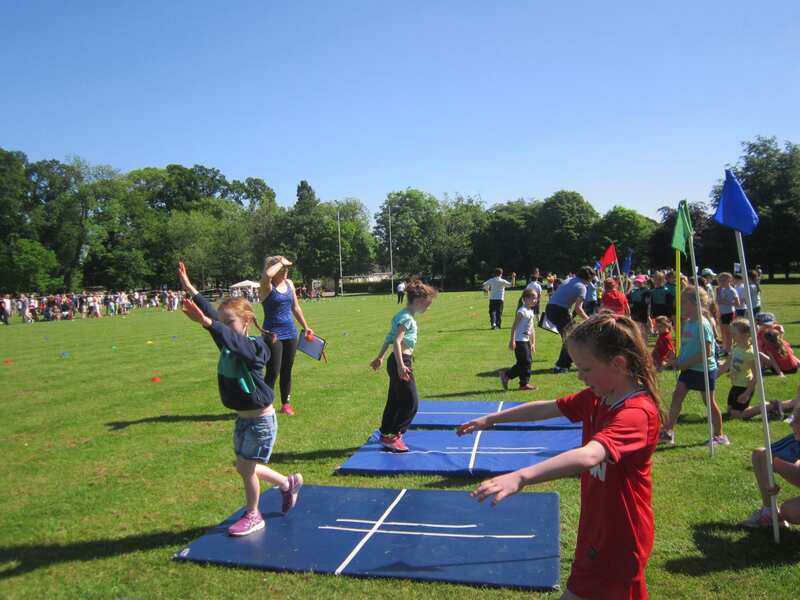 Aislinn created a wealth of space, allowing others to go for goal. We also introduced power subs Ava, Fiona, Ellen and Laura. All played a vital role in securing our victory. Jane showed her versatility by playing in a corner back position despite being a natural forward. The final score was 4-3 to 2-2. 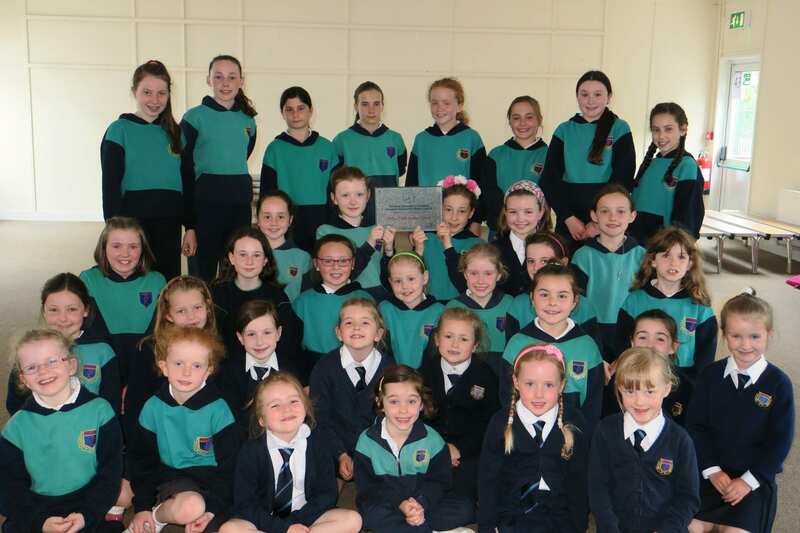 This is St. Pius X G.N.S.’ sixth consecutive year winning a trophy in the Division 1 competition and we know it won’t be the last! Go Pius!!!! 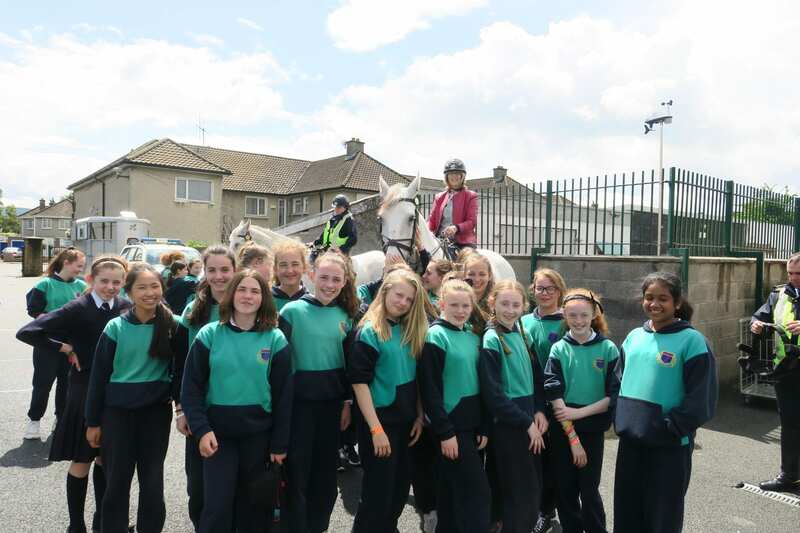 On Friday 23rd of June, we had a visit from two members of the Garda Mounted Support Unit. Ms. Marron got to try out what it would be like to be part of the unit for a few minutes! Policing on horse-back is ideal for high visibility crime prevention. 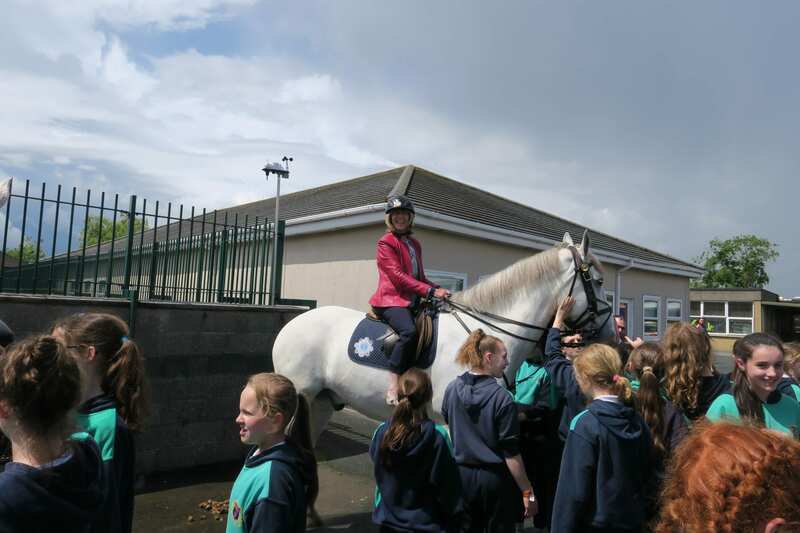 Mounted Gardaí sit several feet above the height of a crowd with the result that they have a good vantage point and can be easily recognised by members of the public. 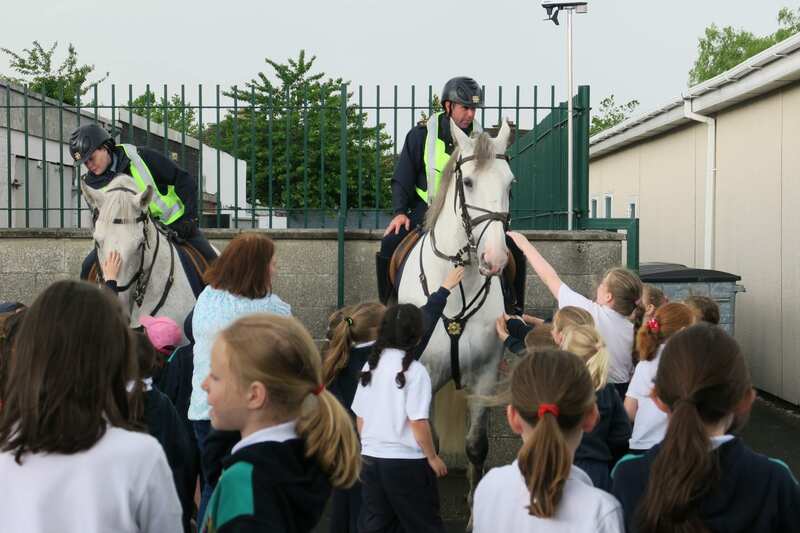 The Mounted Unit was established in 1998 and is based in the Phoenix Park. 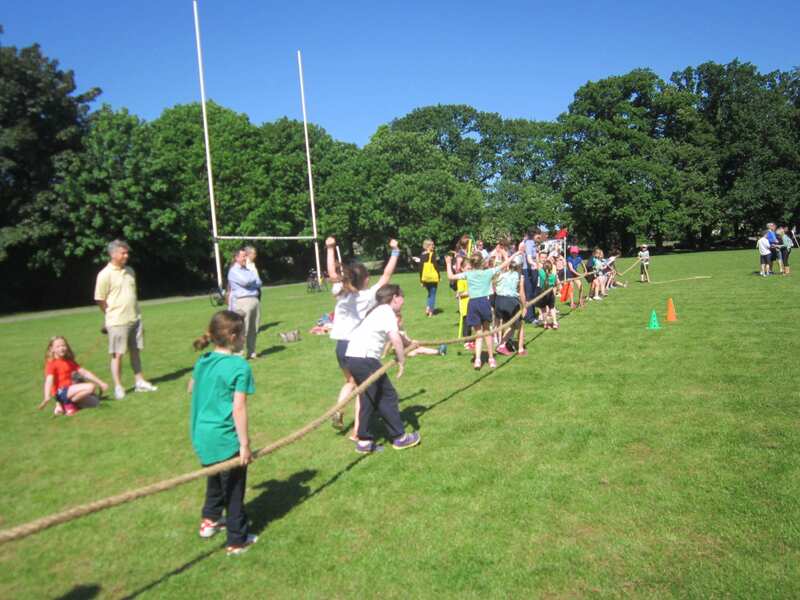 The Unit’s facilities include stables, tack rooms, stores, paddocks and an all-weather training arena. 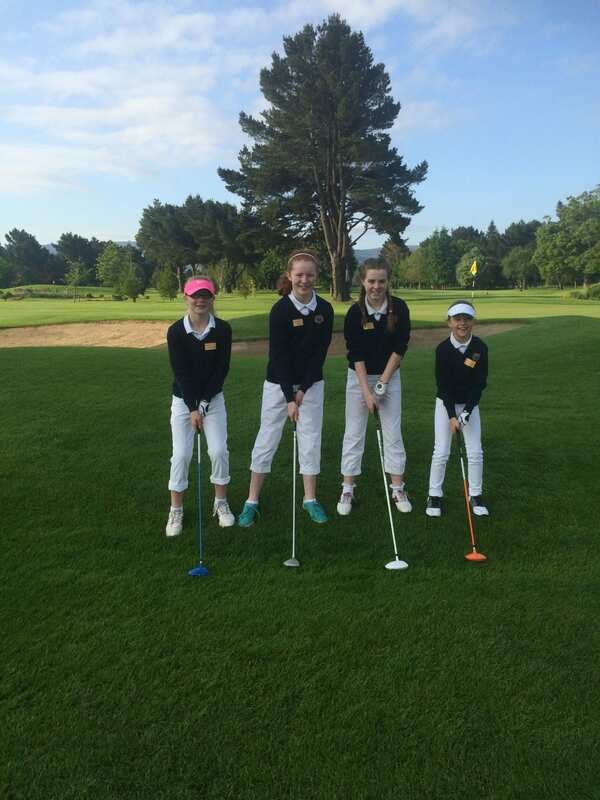 On Friday 17th of June, the Student Council went to Templeogue Village for a photoshoot. 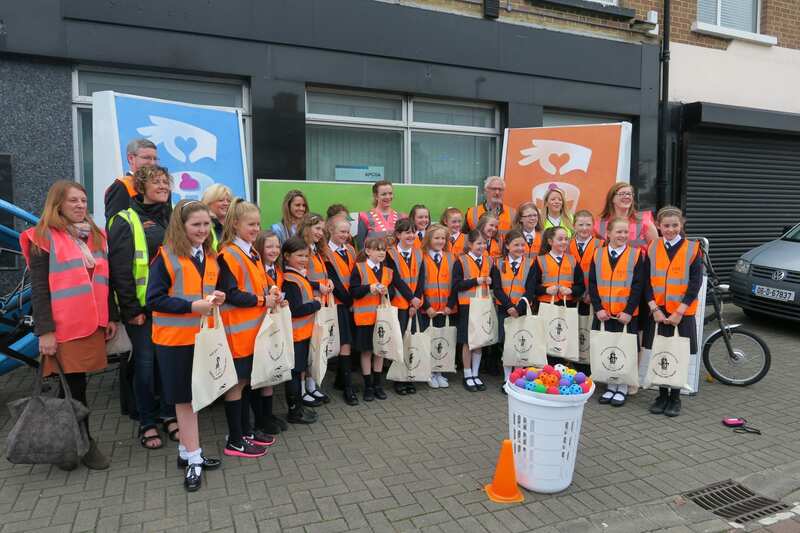 We met the Mayor of South Dublin and the people who run the Tidy Towns campaign. We took photos with them. They gave us a bag full of things to promote the ‘Bin Your Gum when you’re done’ campaign. We then went to the The Morgue car park and we rode in eco cars. 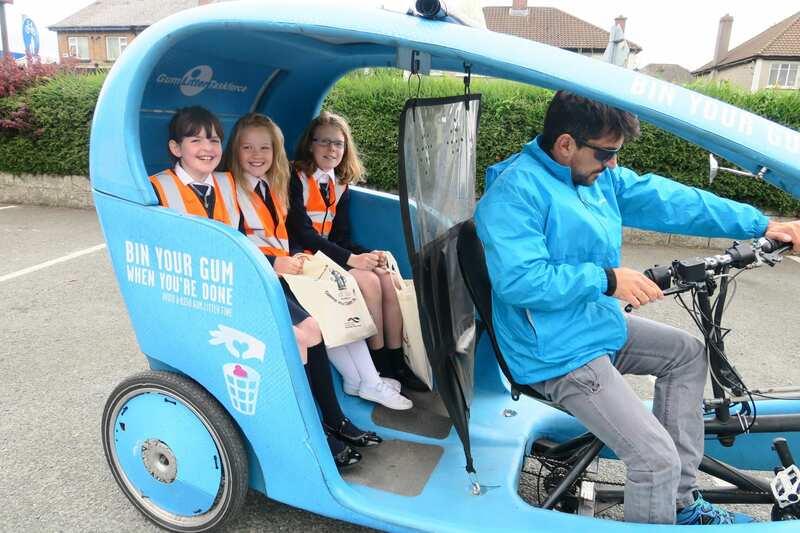 Eco cars are like bikes but they have a roof and seats at the back for passengers. Pretty much, it’s a car that you pedal. Then a man came into the car park and asked some of us questions about ‘Bin Your Gum When You’re Done’ campaign. 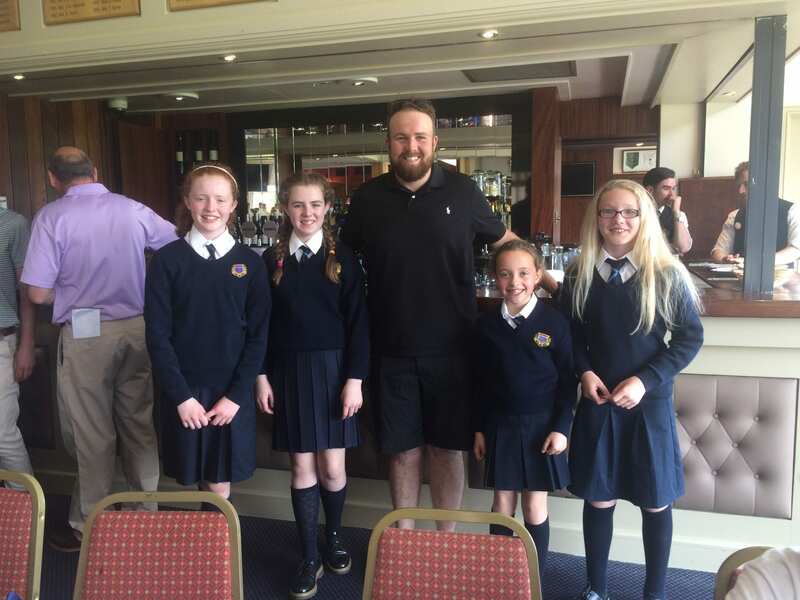 He asked us questions such as how we could help promote this and how girls like us could help. He also interviewed Ms.Daly and asked her why this campaign is important in schools. We then went back to the photoshoot place and we played a game. We all had 30 seconds to throw as many balls into a basket as we could. 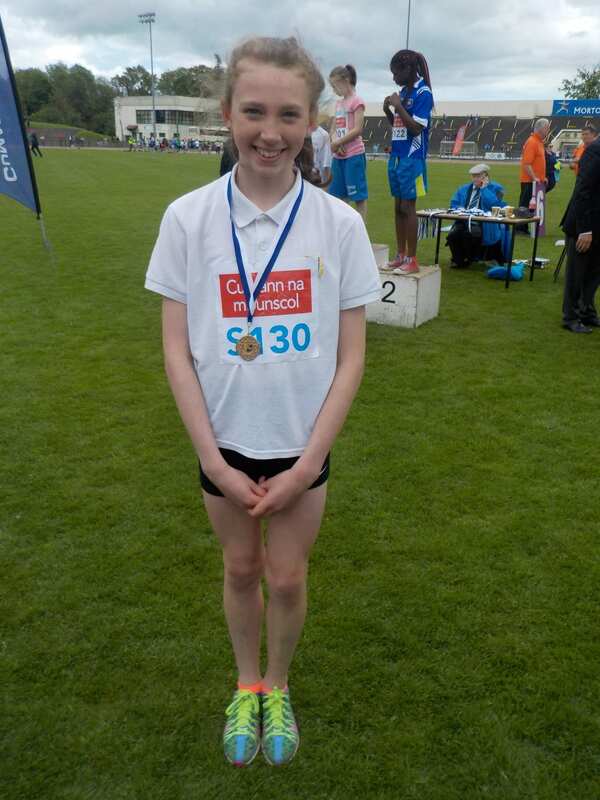 Laura in 6th class won and she threw over 20 balls into the basket. 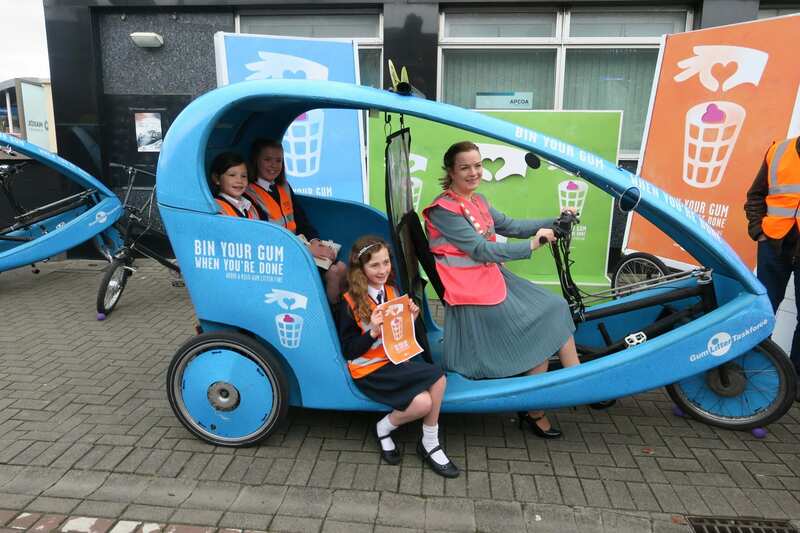 We had great fun on Friday and we want to thank the ‘Bin Your Gum When You’re Done’ campaign team. 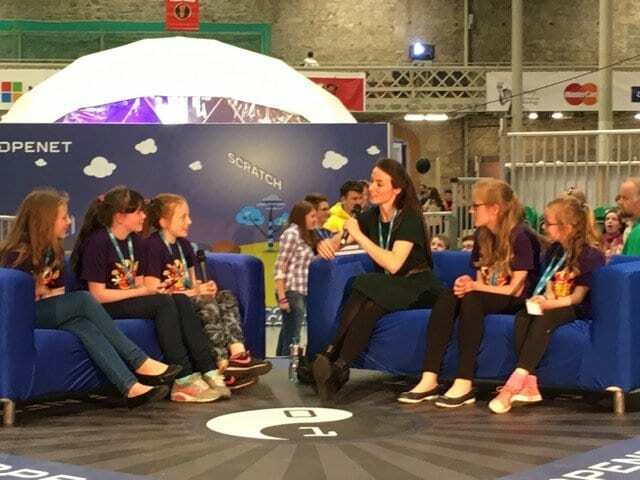 There was a good turnout from St Pius X GNS at the Coolest Projects Awards in the RDS on Saturday 18th June. 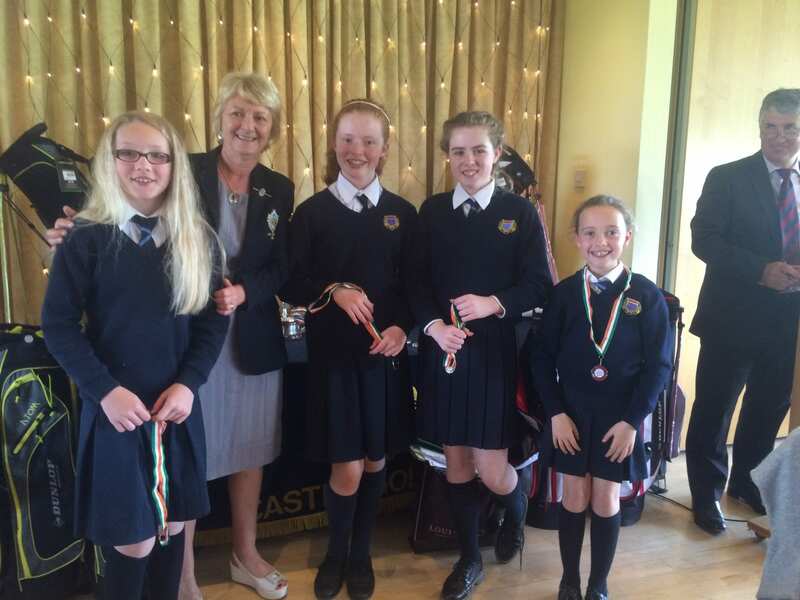 Leah & Rebecca Wilson, Susie Cook, Tori Quigley & Tiana Mizzoni represented our school. 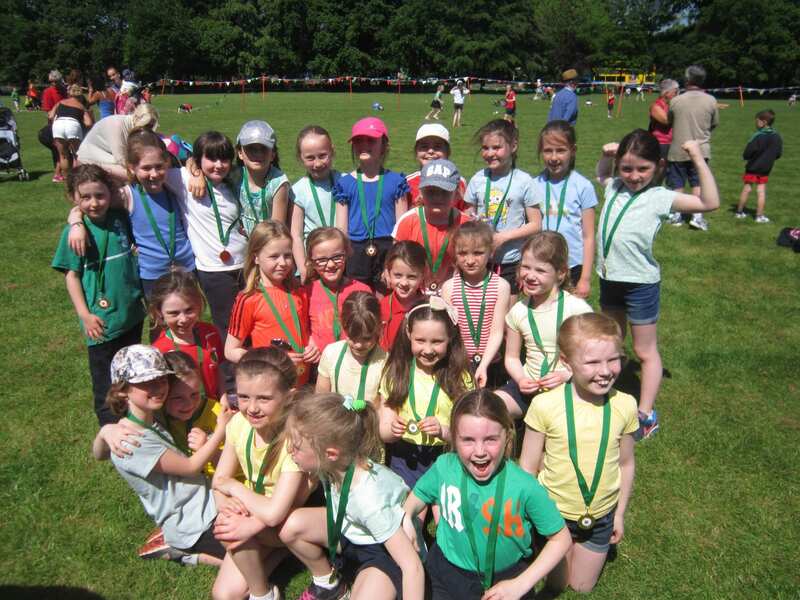 Well done girls on your enthusiasm and for giving up your Saturday! 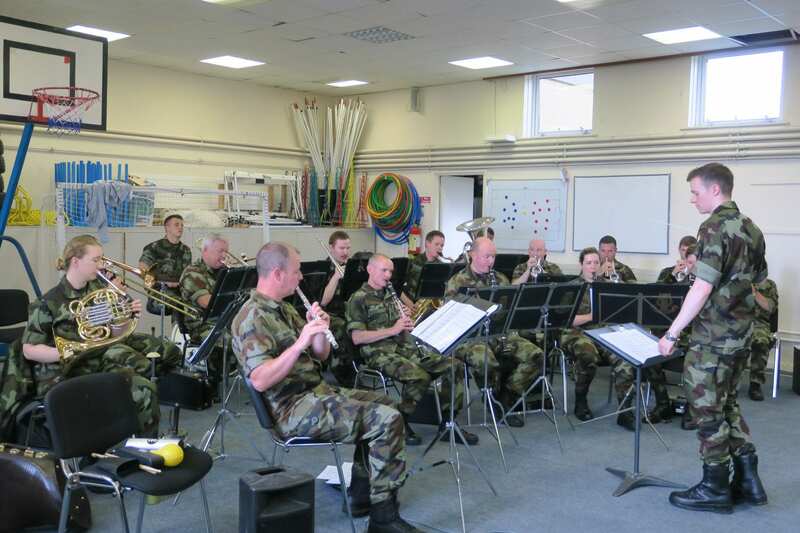 We had a wonderful performance from the army band today the 15/6/16. We heard the theme music from The Simpsons, Spiderman and Toy Story. 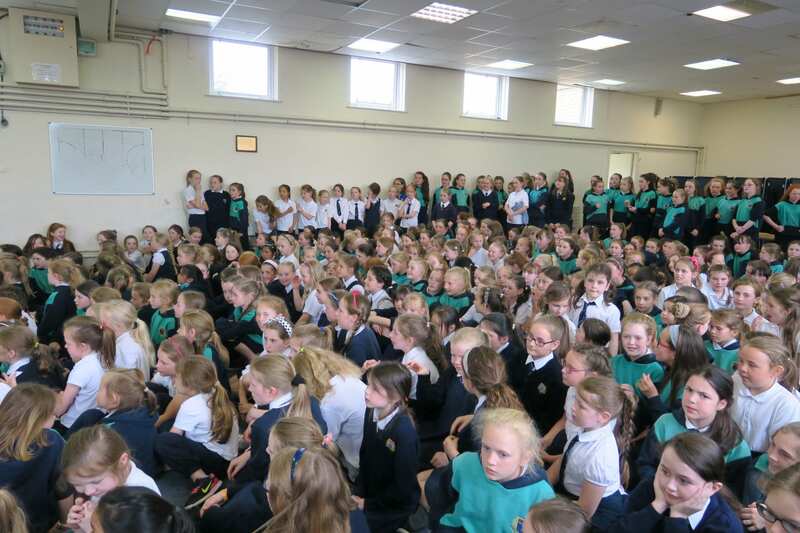 The girls sang along beautifully to Let it Go. We bopped along to songs from Bruno Mars and One direction. 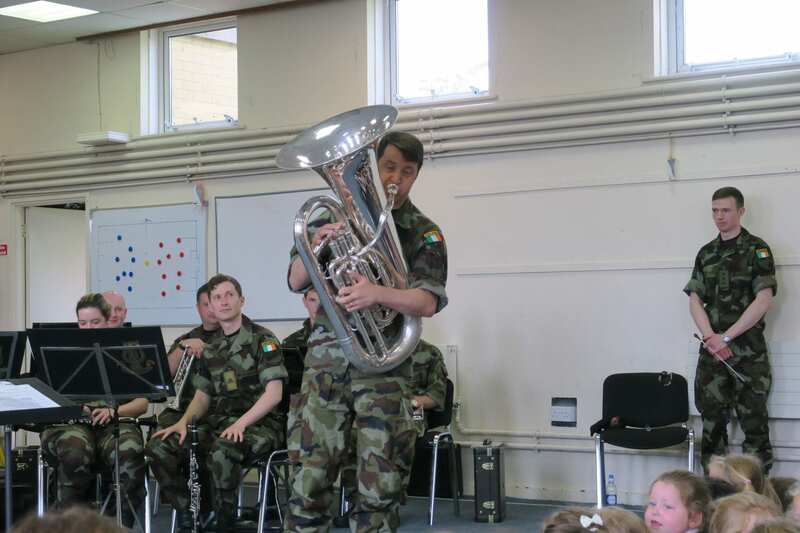 We had solos from members of the woodwind, brass and percussion families. 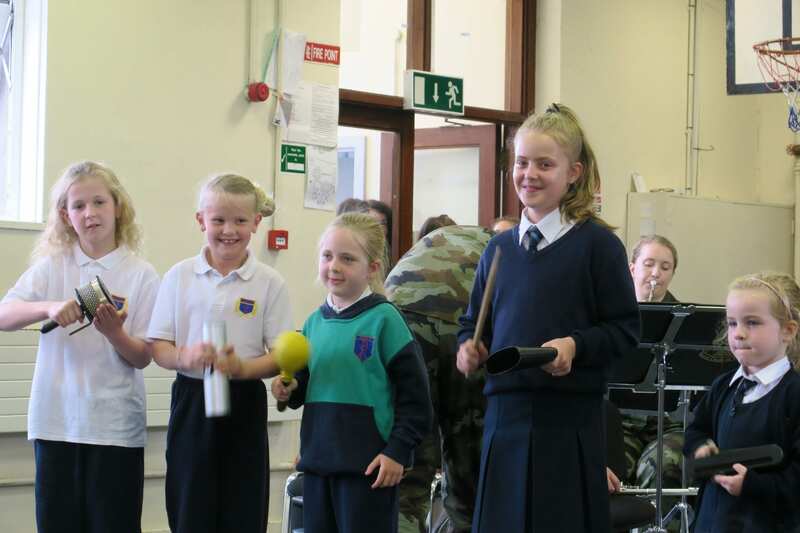 Some lucky girls were picked to accompany the army band on percussion to their last song Lola. All in all a fun-filled musical treat. 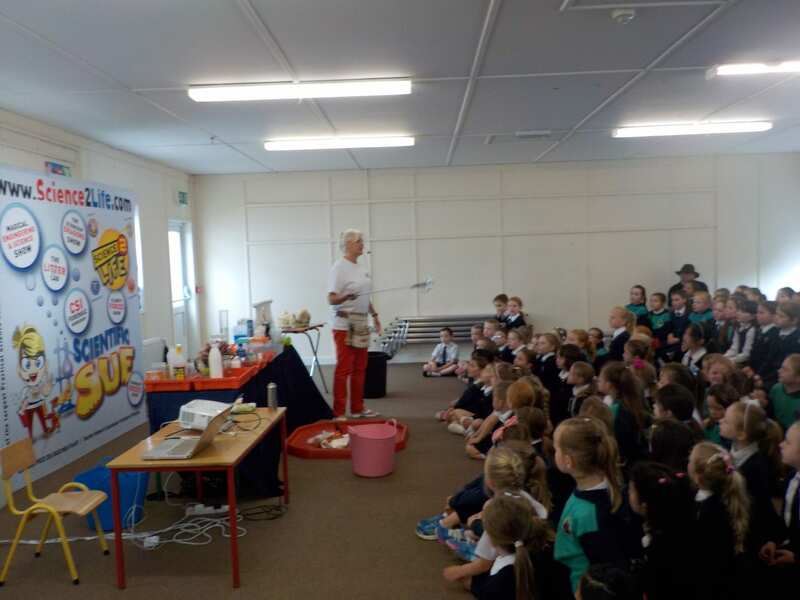 Scientific Sue visits St. Pius X G.N.S. With the amazing “Litter Lab” show! 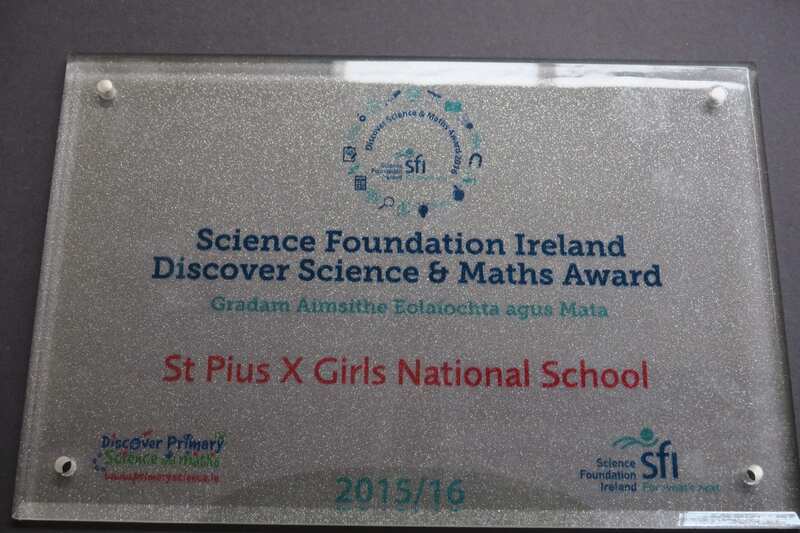 As a reward for all the fantastic STEM work St. Pius X G.N.S. 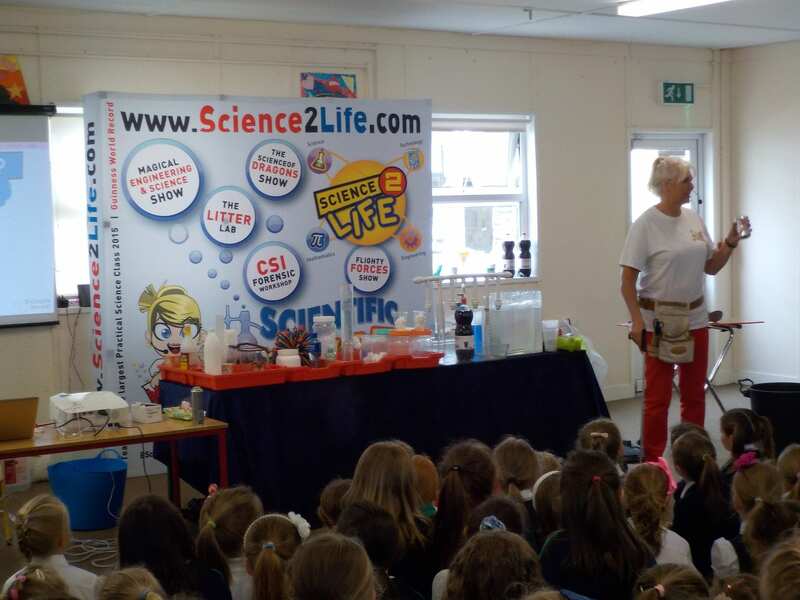 has done throughout the year, STEPS Engineering Ireland rewarded us with a free show from Scientific Sue. 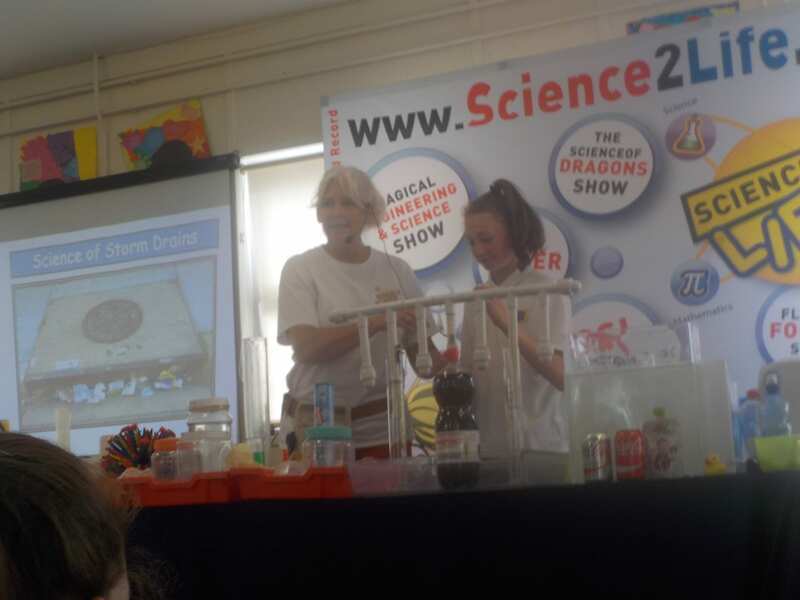 The Litter Lab show took place in the school on Thursday 9th June 2016. 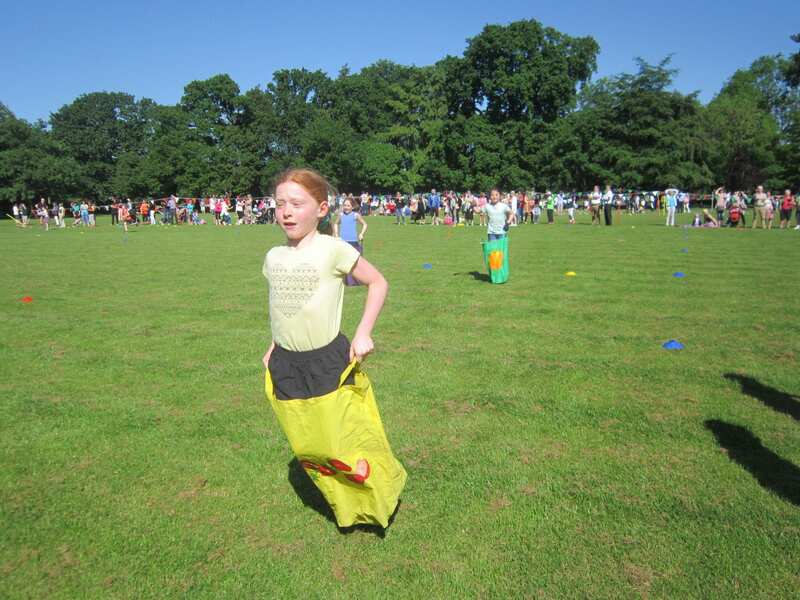 It was all about making us aware of the problem of litter, what it is and where it comes from. Sue helped us explore where litter goes, what litter items dissolve, float, sink and expand. 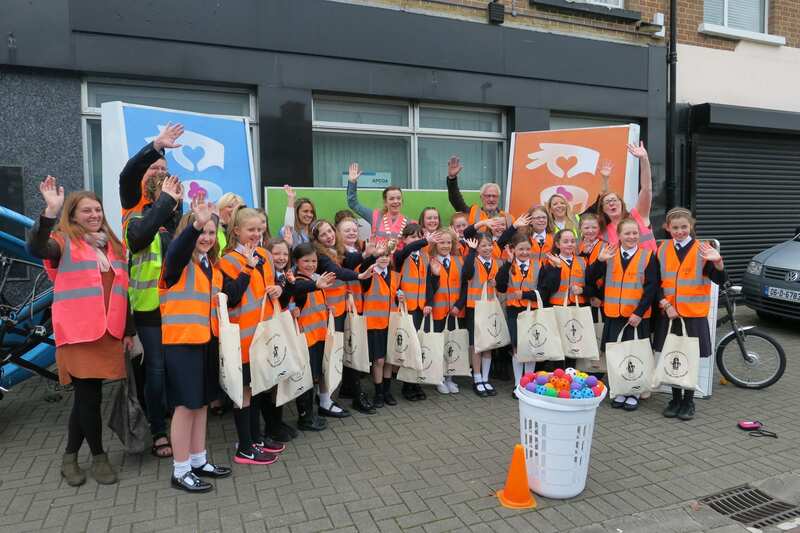 We discussed the fact that litter contains millions of bacteria, viruses and parasites, that it attracts rats and insects, what impact litter has on the environment, and ways in which we can help keep Ireland beautiful. Many of us eagerly volunteered to help with the demonstrations Sue carried out, which helped us understand and answer these questions. One of them involved dog faeces (chocolate) and glitter, where Sue displayed how, unbeknownst to us, when we walk in dog faeces, the bacteria can be spread wherever we walk. Dog faeces are very dangerous and can cause blindness, as many of the recent posters around our parks demonstrate. Nappies we learnt can expand hugely when immersed in water. 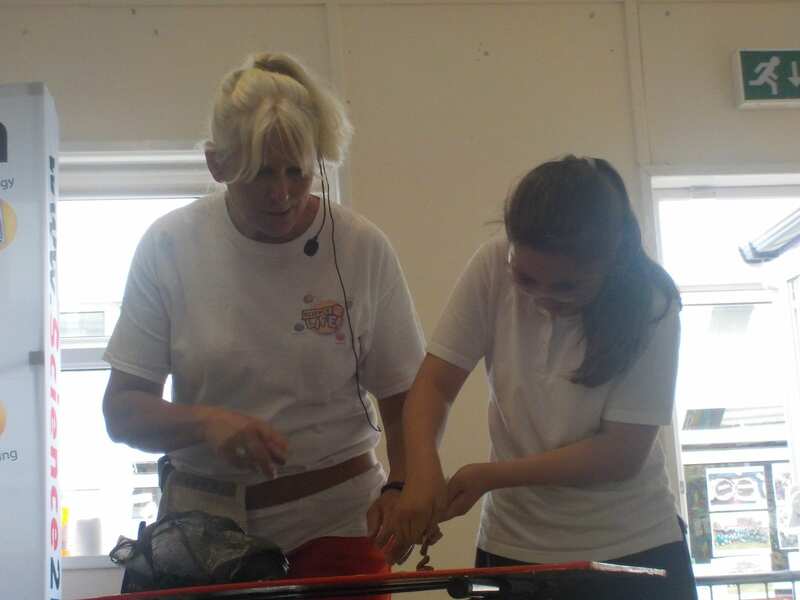 We particularly enjoyed when Sue was demonstrating with her doll Peppa Pig. 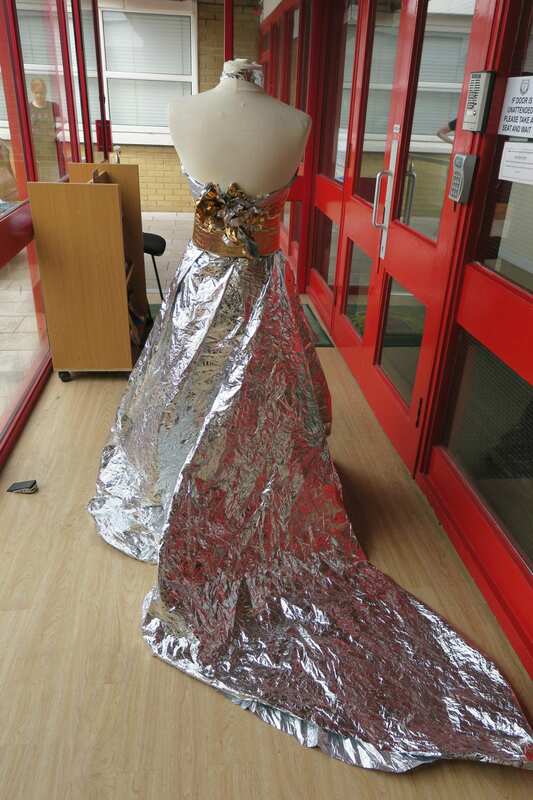 She put a tube through its body and made it `s head blow off, and shoot into the air using a menthos mint! 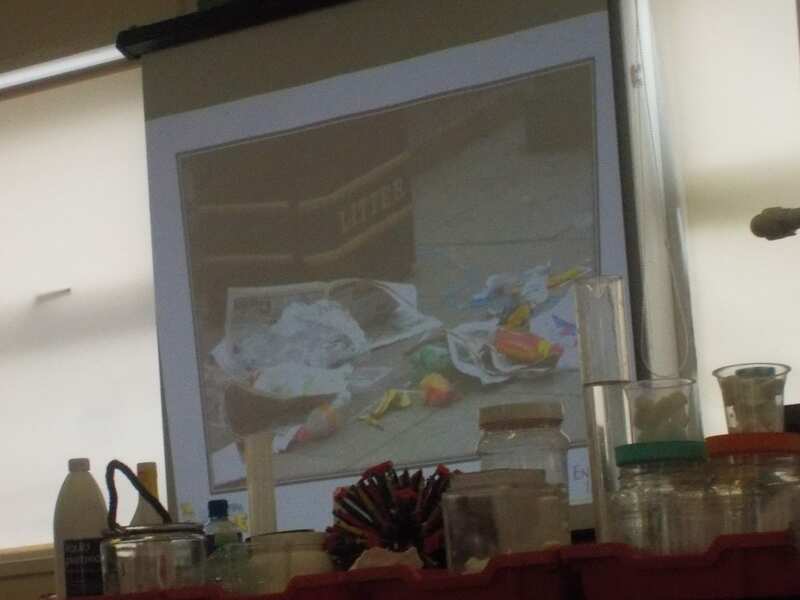 Many of the pictures Sue showed us on the slideshow were quite distressing, as they exhibited how damaging, eating litter is to an animal. Some animals believe plastic bags are food and eat them, with devastating consequences. Their insides are completely destroyed! A poster of a child eating faeces was really realistic, as any child could easily mistake it for chocolate! A beach covered in litter is not where we want to spend our holidays! Sue explained and demonstrated that if something we flush down the toilet does not have the word “toilet” in its name, we should NEVER flush it down the toilet, as it will not dissolve. 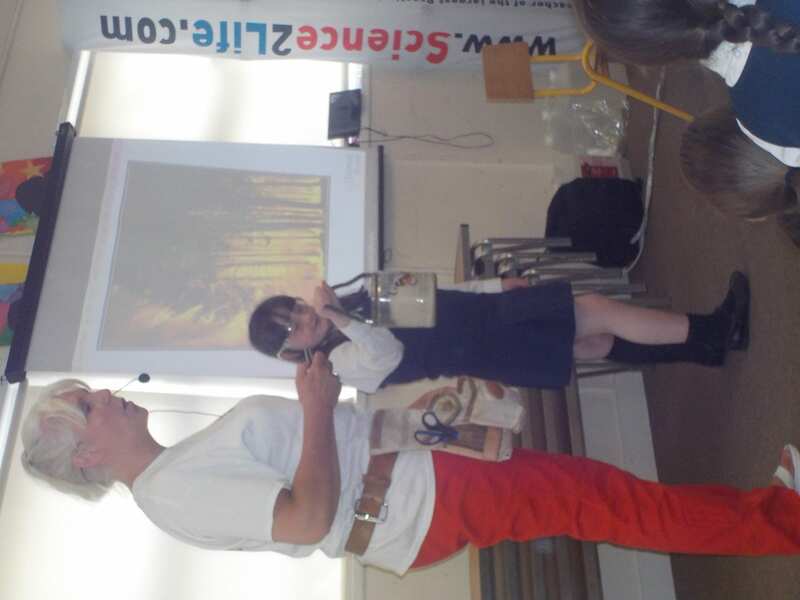 We learnt so much and now have an awareness of how we can help keep our environment cleaner and safer for us, and the creatures around us. Thanks Sue and Dimitri for a thoroughly enjoyable and educational show! 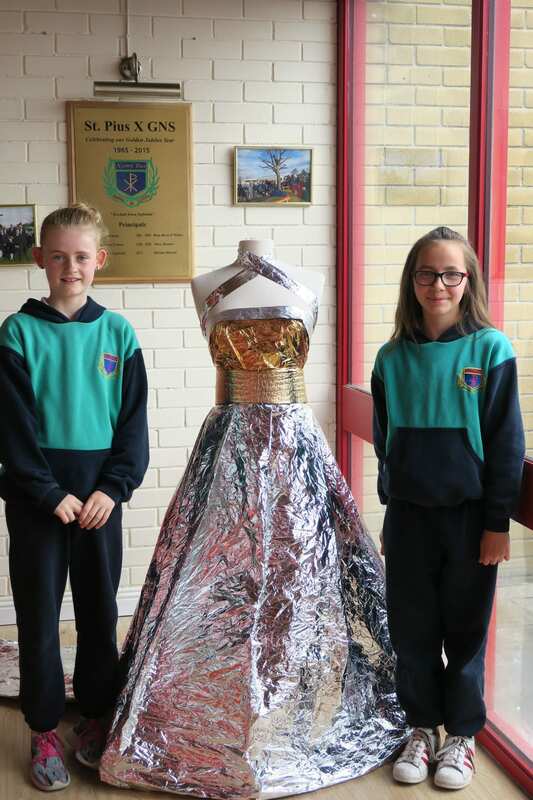 Two or our very talented 4th Class girls made this beautiful dress out of tin foil for a 4th class project. I think we should keep an eye on future catwalks for India Ralph and Jenny Marron collections! 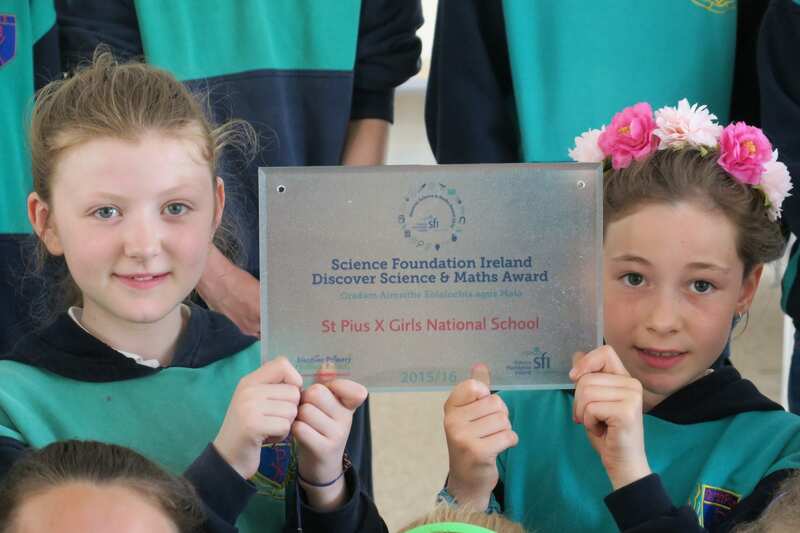 St Pius X Girls National School has achieved a Science Foundation Ireland Discover Science and Maths Plaque of STEM Excellence for the 2015/16 academic year. 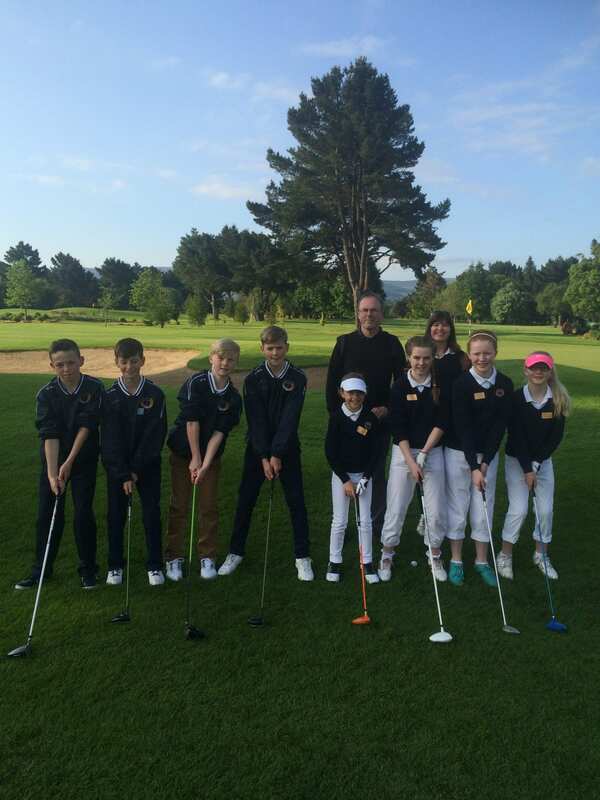 St. Pius X G.N.S golf team 2016. 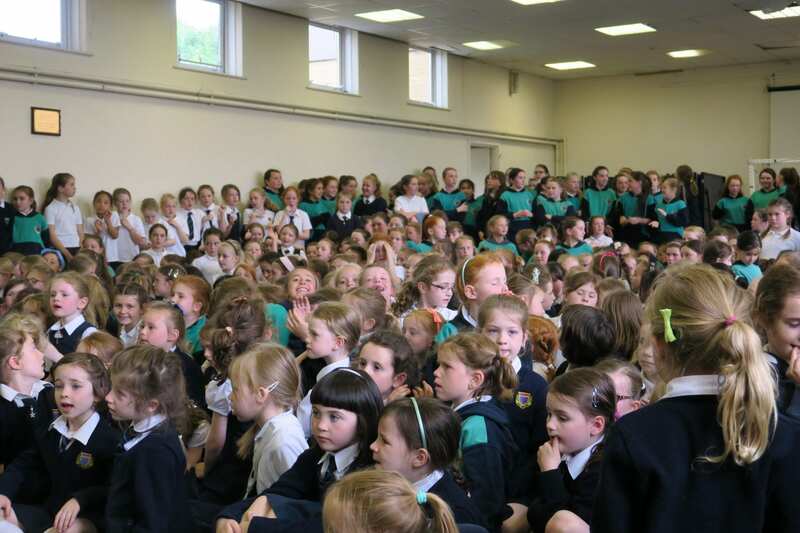 We celebrated World Book Day here in St. Pius on Wednesday the 25th May. The girls brought in their favourite book for our book review session. First and second class came to school dressed up as a character from a book and told their class a little bit about this character. Another great World Book Day at St. Pius X GNS. Congratulations Ciara.. Pius abú arís!!! 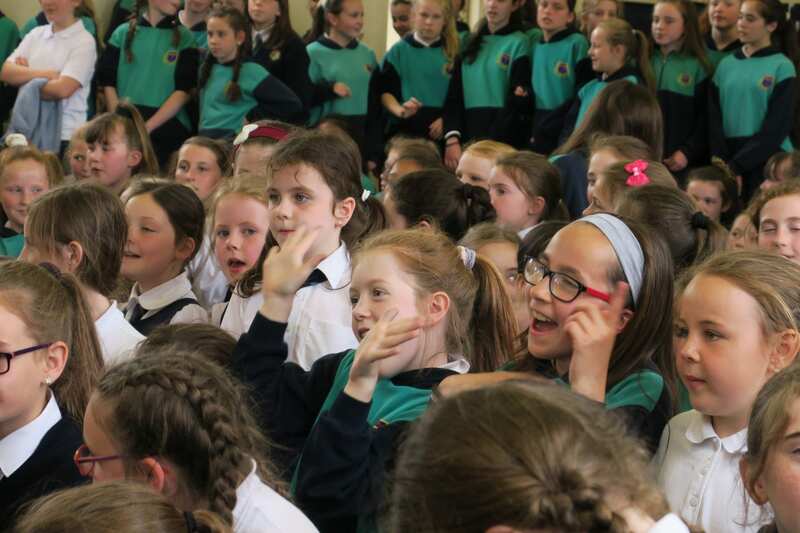 Our school choir took a trip to the Navan Choral Fesitval competition on 28th April. After a bit of a rushed start due to the bus breaking down we finally made it on time to perform and we came 2nd! 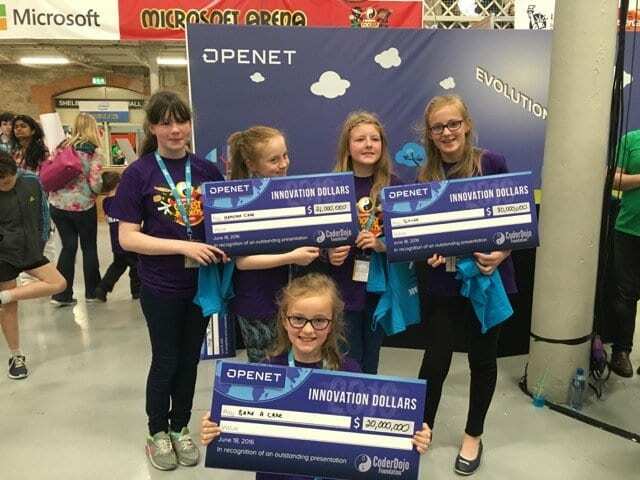 We are so proud of the girls and delighted with the result. 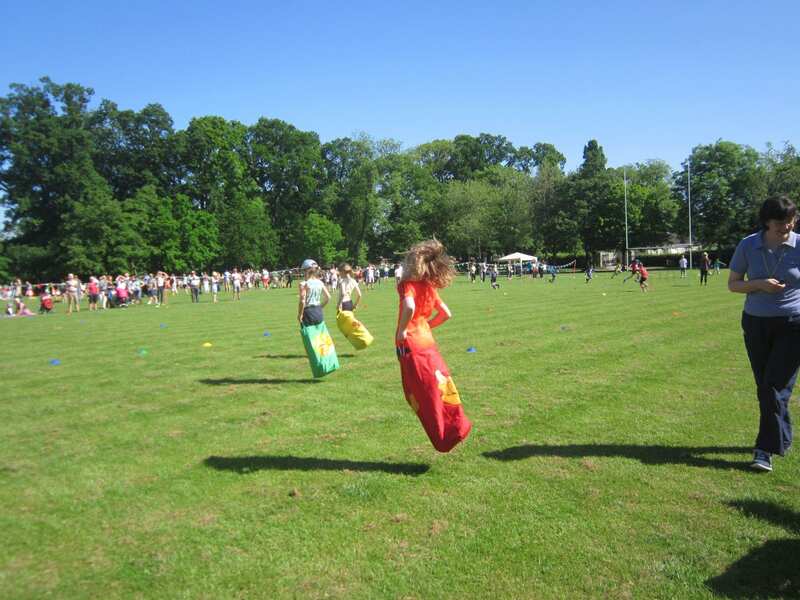 This was our first competition and we were not expecting such an outcome! Thank you Ms. Marron and Ms. Buckley for leading the choir to greatness!